Hawthorne’s Tree Service Lakeland FL is the tree care company that you can trust when it comes to tree services in Lakeland. Our biggest concern is your satisfaction, and for that reason, we will do everything to see you happy. We continuously receive good feedback and words of appreciation for our efforts and never-ending commitment to serving our customers. Our professional staff use state-of-the-art equipment while taking every job with the knowledge and experience needed to provide high quality tree services. Your landscape will be in good hands as we keep it untouched while we are busy in taking care of your trees. Hawthorne’s Tree Service Lakeland FL cares about your trees and landscape. For that reason, our team uses only the best equipment available. No job is too small or too big for us as we have heavy equipment that allows us to take even the biggest and most difficult jobs. However, we cannot guarantee the safety of your landscape if we use a machine. Though heavy equipment is a big help for us, we usually prefer other tools like climbing harnesses to avoid causing damages to your landscape. Our goal is to enhance further your landscape, not to ruin it. Our cleverness and flexibility have allowed us to offer good customer service to everyone in Lakeland, FL. Our tree services are suitable for residential, commercial, investment properties, and huge scale developments. Hawthorne’s Tree Service Lakeland FL is licensed, bonded and insured while our workers receive compensation, so your property is safe with us. We guarantee quick response and affordable pricing for the services we offer. We never want you to be responsible for anything, which is why we are insured, licensed, and bonded (when applicable). Our employees are insured with workers compensation, which will also set you free from liabilities. We never sacrifice the quality of our work to keep our rates low. 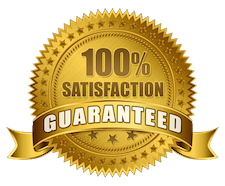 We aim for your 100% satisfaction because seeing you happy is a success for us. Our team consists of well-trained, experienced arborists who can handle a wide range of jobs, including removing a mature trees and clearing unwanted branches of trees from your landscape. Our team will handle every single detail of the job to meet your needs and expectations. Then, we take care of the mess before leaving. The job site must be as if nothing happened there. We have been a locally owned and managed tree service company for more than a decade. We continuously serve the all of Lakeland including the nearby areas. Thus, we are part of your community, and our office is just in a short distance from you. We remain as the most trusted tree service company in Lakeland FL because we stay professional in every situation. We keep our promises as we want to show you how responsible we are. We have the needed experience and equipment to offer the right kind of service for your specific needs. You and our employees’ safety matters. Thus, we use only the best and well-maintained equipment. Our employees undergo training in safety protocols and practices, making them aware of the potential hazards associated with tree handling and cutting. We follow the guidelines from the ISA (International Society of Arborist) and TCIA (Tree Care Industry Association) on tree care guidelines. These guidelines involve the comprehensive use of safety climbing harnesses and correct equipment operation. We ensure the safety of everyone while doing our job on your property. We use only the best pieces of equipment and employ qualified staff to offer guaranteed quality tree services for our Lakeland FL residential and commercial clients. We also maintain our tools regularly to keep them in good condition. At the same time, we require our team members to undergo continuous training and education to ensure efficiency, safety, and outstanding customer service. Hawthorne’s Tree Service Lakeland FL also offers same-day estimates for free. Our team will visit your property to evaluate the tree(s) and give you the right cost estimation. We understand why you need to know the exact cost of the service before the job begins. Thus, we keep our lines of communication open, allowing you inquire about all aspects of the price quote. People usually ask us about costs upfront, and we understand this is an important component of your decision. Stump grinding, tree trimming, and tree removal costs vary depending on the project. We will give you a few details about the factors and variables that can determine the cost of tree services. ​In tree removal, we consider four major factors: the tree’s location, its height, diameter, and type. With these variables, the cost of our tree removal Lakeland FL service may range from $500 to over $2,000. The location of your tree is the number one factor we consider in the cost of tree removal as it tells us how difficult or easy the job will be. When the tree is in contact with your property or with the electrical lines, removing it may require a more experienced worker or lineman. The location will also show how risky the job is. The more hazardous the job, the more expensive it is. The height of the tree is also a big factor in tree removal. A taller tree needs more work, but a smaller one needs less equipment and less staff. The tree’s diameter is another key factor that we consider because it determines how much time we will spend on removing a tree. Cutting and removing a bigger tree will take much time, and we may need to cut it into smaller parts which require extra equipment and manpower. We also need to know the kind of tree you want to be removed. A hardwood tree is typically more difficult to remove than the softer wood. Likewise, a multi-trunked tree is usually harder to remove than the single-trunked one. ​We consider five things that determine the cost of our tree trimming service. These are the tree’s location, its height, diameter, species, and the degree of cutting required or desired. With these factors, the cost may range from $300 up to more than $1,000. The tree’s location is also an important factor in tree trimming. If the tree is in the center of a meadow, the job will take fewer resources like time, equipment, and manpower. However, removing a tree that was tangled in electrical lines or is in close contact with a building is more expensive and time-consuming. The taller the tree is, the higher our arborists we need to climb to cut its branches. Thus, our service may be more expensive in this case. Aside from the height, we also look at the tree’s diameter. A bigger tree has more branches to trim, which means we need more time to finish the job. Some types of trees naturally have more twigs and bigger limbs than other species. Depending on its kind, trimming can take less or more resources and time. An severely overgrown tree will require more trimming vs. one that has been trimmed regularly. ​We have five key factors to consider when calculating the cost of stump removal or grinding. Generally, the cost of stump removal is $500 or more while stump grinding ranges from $100 up to $400. Stumps can be removed or ground, depending on your preferences and your tree’s needs. Grinding is more economical than removal because it saves money and time. Grinding is easier to do than removal as it involves crushing the stump underneath the soil level and covering with dust. Then, the stump will start to degenerate together with the roots. However, removal involves removing the whole stump with its roots. It is a pricier option, as it needs more resources to finish. However, our team can perform any of these two services and help you choose the best for your tree. The stump’s location is a key factor that determines the cost of stump removal or grinding. A hard-to-reach tree stump needs much time and more resources to remove or grind than the easy-to-reach one. The job is more difficult and time-consuming when the stump is located near a structure. The age of the stump also contributes to the cost of our service. A young stump is easier to manage than the older one, but removing or grinding an older stamp is harder and more expensive. The bigger the stump, the more difficult the job is. A small stump is easier to remove or grind, and it takes a few hours and less manpower than the bigger stump. We also need to know what kind of tree you have so we can give you an estimate. Is it hard wood or soft wood? Grinding or removing is less expensive and easier to do if the job involves a softer wood. Tree Trimming or Tree Removal? If you do not know whether to trim or remove a tree, the following are the guidelines we use to make this assessment. Is the tree dangerous or hazardous? If you think it can cause danger, then we should determine first if trimming can fix the issue. For instance, if the tree touches your property, we need to know which part of it poses danger. Is it a single twig or the trunk? Trimming is a good option if we need to remove just a single twig or two, as long as we can do it safely without causing harm to the tree’s health. However, if the tree is dying or its health quickly drops, the best thing to do is to remove it. If the tree is dying or its health is declining, tree removal may be your only option. However, if there are just a few dead limbs and it may be possible to trim and restore the tree vs wholesale removal. Is the tree an issue? If the tree causes a major problem, removal is the only choice we have. For instance, if a tree has been putting pressure on the nearby property, causing costly repairs, we suggest removing it right away. We can consider trimming only when a tree is not a culprit of an issue. Does the tree offer value? If the tree is causing a minor issue but is adding more beauty and value to your landscape or property, then trimming can be the best thing we can do for it. Never underestimate the effect of regular trimming on a tree’s beauty and health. In most cases, a tree becomes a culprit of an issue only when it has become unhealthy. However, if a tree is not doing any good for your property or landscape, we recommend removing it. We provide a complete range of tree services suitable for residential and commercial needs. Just call and let us know your tree care need so we can recommend the ideal service solution. Though it is the most popular tree care service, many homeowners and business owners know a little about tree removal. When a tree is healthy, it will need less maintenance, excluding routine pruning. With that, you tend to ignore it until something went wrong. We know how hard it is to figure out whether a tree should be removed or not, which is why we are here. Feel free to contact us and let our team see and inspect the tree. After assessing it, our arborists will give you an estimate and ask you when they should come back to do the job. The estimate includes everything – chopping the tree, cutting it, removing or stacking the wood, and cleaning the job site. We can also visit you to assess your whole property and detect which tree is damaged or sick. We often use heavy equipment in the job to finish it successfully and quickly. On the other hand, our equipment causes damage to a landscape sometimes. If that is not okay with you, then tell us and we will not use it. We guarantee that our team can work efficiently even without heavy equipment. * #1 Tree Service in Lakeland FL for 10 Years! Our trimming process does not have much difference from our tree removal process. We inspect the tree, give you an estimate, and set a specific date and time for the job. Also, we can either use heavy equipment here or not. We finish the job based on your specifications. After removing a tree, we will ask what we should do to the stump. We do stump removal even if you have hired someone else to remove the tree. Stump removal is a messy job, but we can finish it with ease by using our innovative stump grinding machine. This tool lets our workers safely remove the stump with minimal to zero damage to your property. This job is difficult and time-consuming, but it is not a problem for our team. We are 24/7 available to provide emergency tree removal services. A tree that was damaged by a storm can harm your property at any time. We can take care of this as soon as you get in touch with us. We will send you our arborists to trim or remove the tree before it causes a worse issue. Emergency tree service is critical during periods of strong storms and wind - call us whenever you are faced with tree damage. Whether you are preparing to construct a new house or have a big property surrounded by many trees, our brush removal service will benefit you. Our service includes debris removal and cleaning the areas all over your property. We remove the brush and use it in making useful wood chips. Just give us a call if you are interested. We look forward to working with you soon! Feel free to contact us if you have questions or concerns.